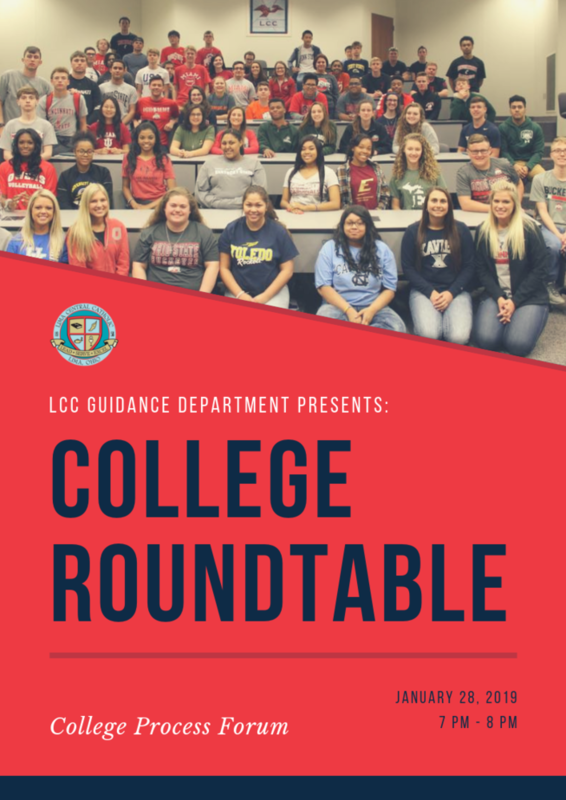 Please plan on attending our annual College Roundtable scheduled for Monday, January 28th at 7pm in the Great Hall. Come get expert advice about the college process from real college admission reps. Hear from a senior parent and a current alumnus. Receive info about how to pay for this academic investment. This is a fantastic program-very informative! Copyright © Lima Central Catholic. All rights reserved.